World attention was recently focused on the climate change negotiations held during the United Nations Climate Change Conference in Durban, South Africa. 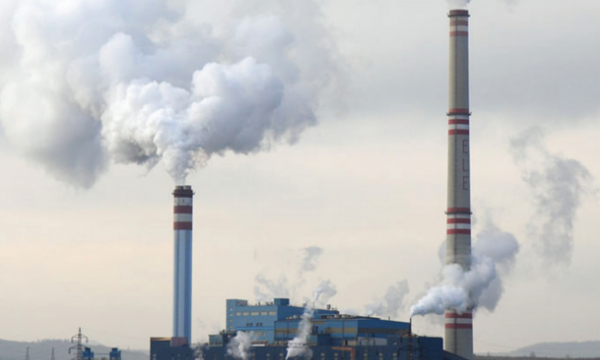 The effects of carbon dioxide (CO2) emissions from manmade sources, especially power plants, received a large amount of attention but we should not overlook the common air pollutants (also known as criteria pollutants, including sulfur dioxide (SO2), nitrogen oxides (NOx), and particulates) that are emitted when coal is burned for power generation. Even when advanced coal technologies, such as gasification, oxy combustion, ultra-supercritical combustion, or fluidized bed combustion, are utilized, these pollutants are still produced. Driven by regulations, starting with the Clean Air Act in 1970, the United States has been addressing pollution from coal-power generation for several decades. Other developed parts of the world, especially Japan, Korea, and Europe, have adopted stringent emissions emission regulations and aggressively deployed pollution control technologies over the same time period. In recent years, China, the world’s largest producer and consumer of coal, has built SO2 scrubbers and other pollution control devices, at an unprecedented pace. As world economic growth revives, particularly in Asia, which is heavily reliant on coal for electricity generation, mitigation of these emissions and by-product wastes, needs to be kept at the forefront of power plant design and operation philosophy. Environmental regulations are generally driven by human health concerns, and studies have shown that implementing stricter regulations have positive effects. Although emissions can be mitigated through advanced power generation and environmental control technologies to almost zero emissions, most existing power plants around the world are reducing emissions by adding individual technologies to control a specific pollutant. The technical and cost bases for these controls are well understood and can be applied flexibly in line with current national environmental policies. Meanwhile, research and demonstration of multi-pollutant control technologies are underway in a number of countries with the aim of commercializing more efficient, lower cost integrated technologies. As the world continues to rely heavily on coal as a primary energy source, existing plant fleets will continue to operate underpinning many countries’ economic prosperity and growth. Most of these plants will remain on line until more efficient and cleaner technologies, including those based on alternative energy sources, are available and affordable in the different markets around the globe. 2010 marked the 40th anniversary of the signing of the Clean Air Act and the 20th anniversary of the 1990 Clean Air Act Amendments − landmark pieces of legislation that significantly improved human health and the environment in the United States. In signing the original legislation, then U.S. President Richard Nixon stated “I think that 1970 will be known as the year of the beginning, in which we really began to move on the problems of clean air and clean water and open spaces for the future generations of America.” He was right, but we haven’t solved all of the problems yet. However, since that time, the United States and other developed countries have dramatically reduced pollutant emissions, and other countries, such as China and India, are moving in the same direction. Climate change wasn’t on the radar screen of policy makers and technologists at that time, but it is front and center now. Just as technology mitigated much of the concern over criteria pollutants over the past few decades, technology can address coal’s remaining challenges, including CO2 emissions, though innovation and cooperation. Continued dialogue between technologists, policy makers, and the general public is essential if we are to make progress.